Matsumoto is a city but has a countryside feel because of its cool weather (even in the summer) and laidback ambiance. 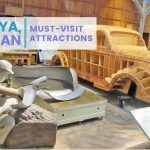 It also has noteworthy attractions within and possible day trips that may pique the interest of visitors who want to see a different side of Japan. 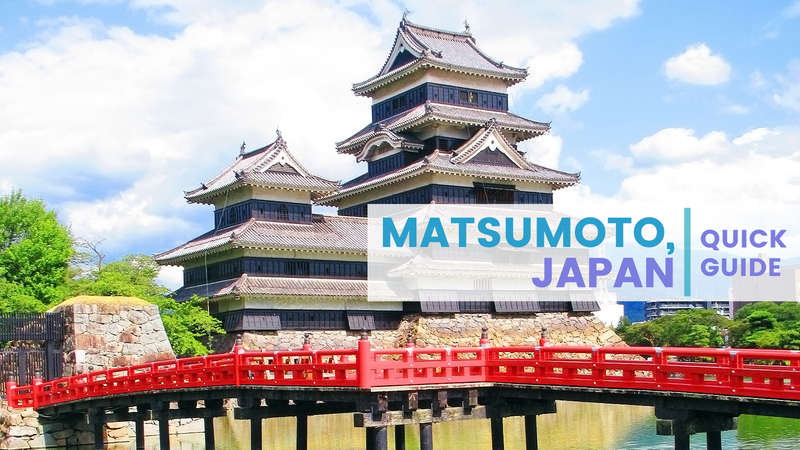 You won’t regret adding Matsumoto to your itinerary as you explore the country. Spring (around early April) is a good time to visit to see the cherry blossoms with Matsumoto Castle as the background. The time you visit will also depend on what you want to see outside the city. If you plan to go hiking, summer is an ideal season to visit. If you plan to do the Alpine route, spring until autumn is a good time to go. 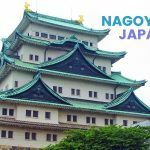 You can get to Matsumoto via Tokyo and Nagoya by air; there are direct flights that ply these routes regularly. You can take the bullet train to Nagano, then switch to a limited express train to Matsumoto. Fare: Around ¥10,000. 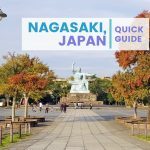 For those on a budget, you also have the option to take the overnight/highway buses from Tokyo and Nagoya to Matsumoto. Matsumoto is a walkable city; you can get to the attractions within it without taking public transport. If you don’t like to walk long distances, you can take the public buses that go around certain routes. The fare for the bus is around ¥150 to ¥200, depending on the stop. 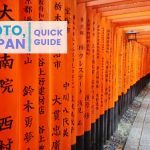 Matsumoto may be a small city, but it has noteworthy attractions that will make you want to extend your stay. Matsumoto Castle. This is one of the most famous and prettiest castles in the country. Its elegant blend of black and white and simple design make it picture perfect for any season. 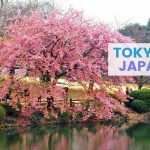 The best time to visit is during sakura season. Return to the castle at night to see it lit up. Daio Wasabi Farm. This attraction is one of the biggest wasabi farms in the country. You’ll see a number of fields connected to streams that provide the plants with enough water. There are walking trails for visitors to take leisurely strolls in and shops that sell wasabi-related products. Nawate Street. If you’re looking for souvenirs, snacks, and meals, this is the place to go to. You’ll see a variety of shops and places to eat after visiting some of the attractions in the city or after you return from a day trip elsewhere. Japan Ukiyoe Museum. For those interested in woodblock prints, this is the museum to visit. You’ll see the Sakai family’s collection on exhibit during a visit. Kamikochi. A scenic mountain with streams, ponds, and walking and hiking trails for nature lovers. The park has peaks where you can get an overlooking view of the surroundings and provide a challenge for those looking for one during their trip. There are also plenty of flat trails for those who want to see glass-like waters and different views of the snow-capped mountains from below. Alpine Route. This route provides you with spectacular views of the mountains and a snow wall. If you visit during autumn, you’ll see the mountainside ablaze in different colors of the season. Old Post Towns. If you want to get a glimpse of Japan’s past, some of the must-visit places are the post towns on the Nakasendo Trail. Tsumago, Magome, and Narai are three noteworthy destinations to add to your itinerary. Norikura. 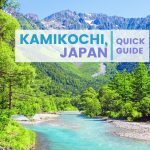 This destination is part of the Japanese Alps and is near another famous park, Kamikochi. Norikura provides visitors with spectacular views of the mountain and is an ideal place to take photos of autumn’s colors. Matsumoto is a small city that has a handful of budget guesthouses, hotels, and hostels. Stay near the city center, attractions, or the bus and train station. A bed in a dorm costs around US$30 a night. The city is easy to navigate and walk to and from places, even if you are a couple of kilometers away from the places of interest or stations.